Hauskaa lauantaita, tänään vietetään useampiakin joulunavajaisia. Minut korttein kera löydät Vanhan Vääksyn Joulunavajaisista (Vääksyntie 4 klo 10-14 ). Tervetuloa Allsorts haasteen pariin! Tip tap, mikäs joululaulu sinulle tulee mieleen, tee siitä kortti ja osallistu viikon haasteeseen! "Inspired by a Christmas Carol or a Song". Hope you name it too. Mine is "We wish you a Merry Christmas..." it is also seen on my card! 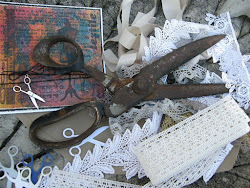 The prize comes from Tattered Lace and a surprise craft gift. 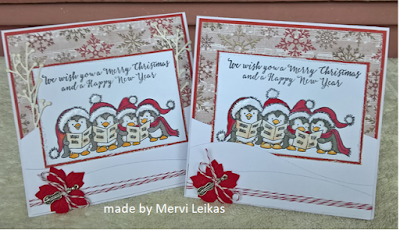 They are such a happy bank of Penguin's Mervi and make for a gorgeous Christmas card. 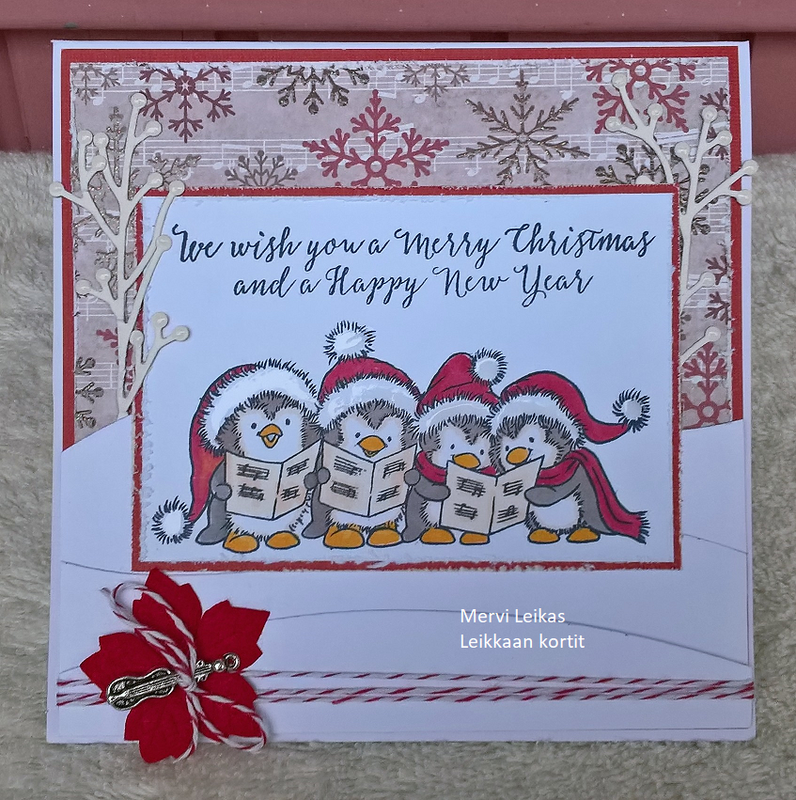 Super cute card Mervi. Love the group of singing Penguins! 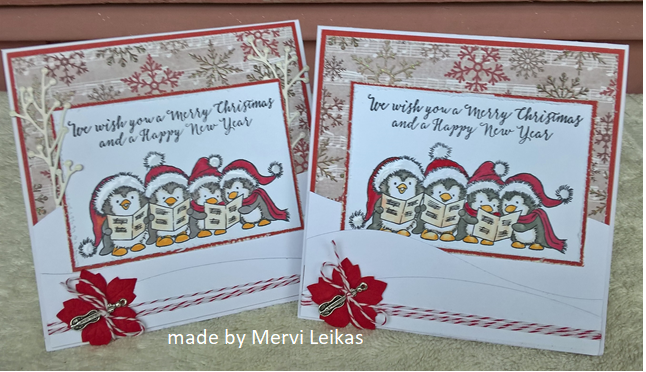 Oh, what an adorable group of penguins singing carols in their Santa hats! Love your paper choice. It's wonderful to see you playing in our "Anything Goes" challenge at QKR Stampede this week. Good luck. Fabulous image, those penguins are so cute and a really super design. Anyone would be well pleased to receive this gorgeous card. A fun bunch of penguin choristers. A delightful card. Sorry I'm late popping in. 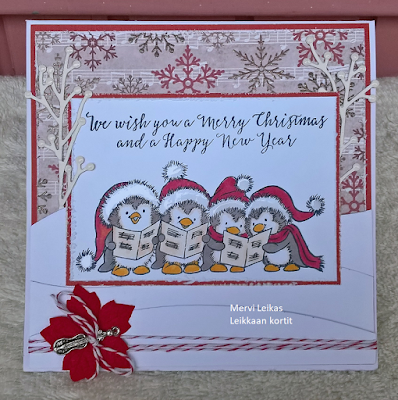 Thanks for sharing with us at Aud Sentiments Challenge blog.